It’s been over 60 years since the very beginning of European integration when European Coal and Steel Community was established in 1951. In terms of developmental stage, European integration has already passed economic integration and political integration. Profound educational integration is the next development goal of European community. As the spill-over effect of European economic and political integration, Bologna Process proposed a promising solution to establishing a European Higher Education Area in the hopes of strengthening integration of higher education across Europe. As stated in the Prague Communiqué, ministers reaffirmed that efforts to promote mobility must be continued to enable students, teachers, researchers and administrative staff to benefit from the richness of the European Higher Education Area including its democratic values, diversity of cultures and languages and the diversity of the higher education system (Prague Communiqué, 2002, p. 1). In the last two decades, it has witnessed that academic exchanges across Europe has increased a lot. Italy, as one of the most developed western European members, is among the first which implemented two-cycle system. Czech Republic, as an emerging member in the Eastern Europe, has also been very supportive of Bologna Process. One of the major targets of Bologna Process is to facilitate students’ mobility. This project studies how much effect has Bologna Process exerted on students mobility in the two countries’ higher education, and find out the limitation to students mobility that Bologna Process has not solved yet, and then compare the situations of students mobility between the two countries, one representing the west of Europe, the other the east. Amaral, Alberto, Neave, Guy, Musselin, Christine, Maassen, Peter (2009). European Integration and the Governance of Higher Education and Research. Springer Netherlands, vol 26. Ballatore, Magali, K. Ferede, Martha (2013). The Erasmus Programme in France, Italy and the United Kingdom: student mobility as a signal of distinction and privilege. 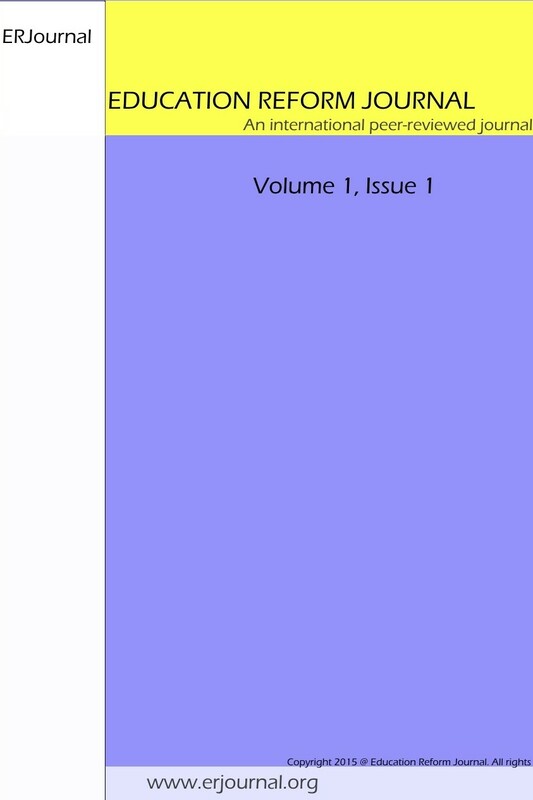 European Educational Research Journal Volume 12 Number 4. Ballarino, Gabriele, Perotti, Loris (2012). The Bologna Process in Italy. European Journal of Education, Vol. 47, No. 3, The Bologna Process Revisited (September 2012), pp. 348-363. Bhattacharya, Arundhati (2009). The Bologna Process and the Making of ‘European’ Higher Education Area: A European Answer to the Forces of Globalization? Aarhus University. Corbett, Anne (2010 ). Higher Education as a Form of European Integration: How Novel is the Bologna Process? UiO: ARENA Centre for European Studies.Damiani, Maria Sticchi (2005). The Bologna Process and the Reform of the Italian Higher Education System. Beiträge zur Hochschulforschung, Heft 3, 27. Jahrgang. Durazzi, Niccolo (2014). The Italian admission system to higher education: Quality, Equity and Mobility Issues. CRUI: Conferenza dei Rettori delle Universita' Italiane. Floud, Roderick (2006). The Bologna Process:Transforming European Higher Education. Change: The Magazine of Higher Learning, Volume 38. Gasperoni, Giancarlo (2011). Reform of the Italian University Educational System and Evolution of Selected Characteristics of Its Graduates (2000-2009). Department of Communication Disciplines-University of Bologna, AlmaLaurea Inter-University Consortium. Huisman, J, Van Der Wende, M (2004). The EU and Bologna: Are supra- and international initiatives threatening domestic agendas? European Journal of Education. vol 39, issue3, September 2004, Pages 349-357. Jörgens, Lena (2017). The Bologna Process and its influence on the participation in the Erasmus program. University of Twente. Papatsiba, Vassiliki (2006). Making higher education more European through student mobility? Revisiting EU initiatives in the context of the Bologna Process. Comparative Education, Volume 42. Radičev, Slobodan, Di Stefano, Livia (2010 ). Bologna Process and Students Mobility-Italy & Serbia & EU. XVI Skup TRENDOVI RAZVOJA: “BOLONJA 2010: STANJE, DILEME I PERSPEKTIVE” Kopaonik, 01. - 04. 03. Rozsnyai, Christina (2003). Quality Assurance Before and After ‘Bologna’ in the Central and Eastern Region of the European Higher Education Area with a Focus on Hungary, the Czech Republic and Poland. European Journal of Education, Vol. 38, No. 3 (Sep., 2003), pp. 271-284. S. Terry, Laurel (2010). The Bologna Process and Its Impact in Europe: It’s So Much More than Degree Changes. Vanderbilt Journal of Transnational Law, vol 41:107. Stastna, Vera (2001). Internationalisation of Higher Education in the Czech Republic-the impact of European Union Programmes. European Journal of Education, Vol. 36, No. 4. U. Teichler (2009b) Student Mobility and Staff Mobility in the European Higher Education Area Beyond 2010, in B.M. Kehm, J. Huisman & B. Stensaker (Eds) The European Higher Education Area: perspectives on a moving target. Rotterdam: Sense. U. Teichler (2012). International Student Mobility and the Bologna Process. Research in Comparative and International Education, Volume 7 Number 1. Germany. Vossensteyn, H., Beerkens, M., Cremonini, L., et al (2010). Improving Participation in the Erasmus Programme. Report for Directorate-General for Internal Policies. Brussels: European Parliament Committee on Culture and Education. Wächter, B (2008). Mobility and Internationalisation in the European Higher Education Area, in M. Kelo (Ed.) Beyond 2010: priorities and challenges for higher education in the next decade, pp. 13-42. Bonn: Lemmens. ISNAD Liu, Jie . "A Comparative Study of The Effect of Bologna Process on the Italian Higher Education and Czech Higher Education (Indexed in ERIC: ED586115)". Education Reform Journal 3 / 1 (July 2018): 24-31.